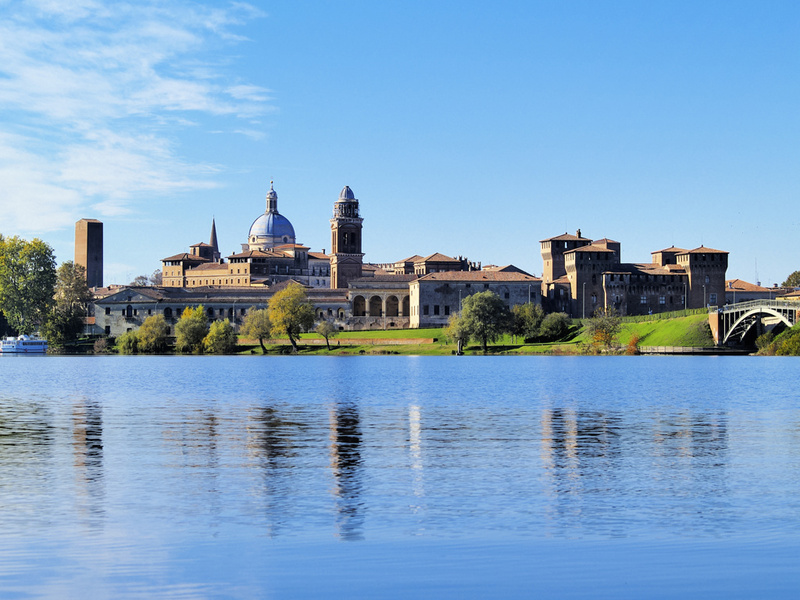 The pleasant cycle path along the Mincio River connects Lake Garda with the city of Mantova. It is ideal for families and passes numerous sights and picturesque villages. 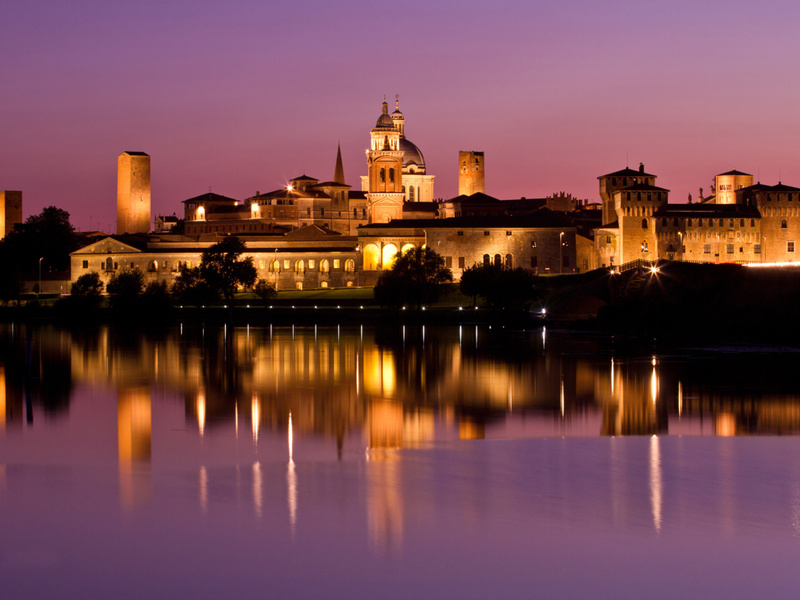 The Mincio surprises its visitors with a beautiful natural landscape, castles and medieval villages that invite you to linger. The rural idyll between the south coast of Lake Garda and Mantova is best explored by bike. 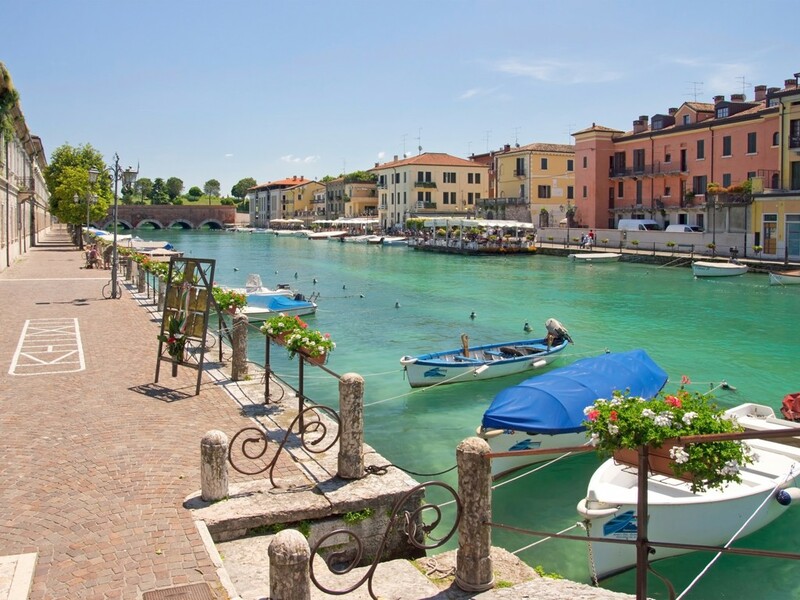 The bike path starts in Peschiera del Garda at the mouth of the river Mincio and then leads parallel to the river in the south. The route runs to the right and left of the river, mostly off the road and is mainly paved. The first section, after the imposing walls of Peschiera, is a shaded trail lined with poplars and cypresses. The landscape of the moraine hills is characterised by the cultivation of grain and wine. 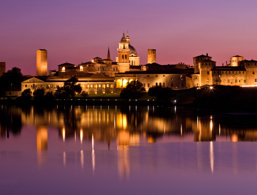 In Monzambano you overlook the castle and the well-preserved old town. There is also an opportunity to make a short detour of about 7 km to the nature reserve Castellaro Lagusello. After about 15 km you reach Valeggio sul Mincio. The picturesque village with its medieval fortifications is worth a visit. 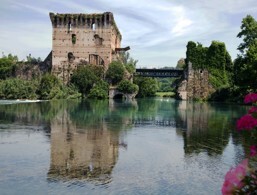 Also worth a visit is Borghetto with the historic houses on Mincio, the old watermills and the Visconti bridge. If you reach the village at lunchtime, you should definitely eat a portion of delicious tortellini. The legendary little dumplings are said to have originated in Valeggio sul Mincio. Even today, the Nodo d'amore is celebrated here every year with a big party. You can also turn right at the city gates to the 60-hectare Parco Giardino Sigurtà. The huge park has already been declared the most beautiful park in Italy and can also be explored by bike. The riverbank continues along until after Pozzolo. 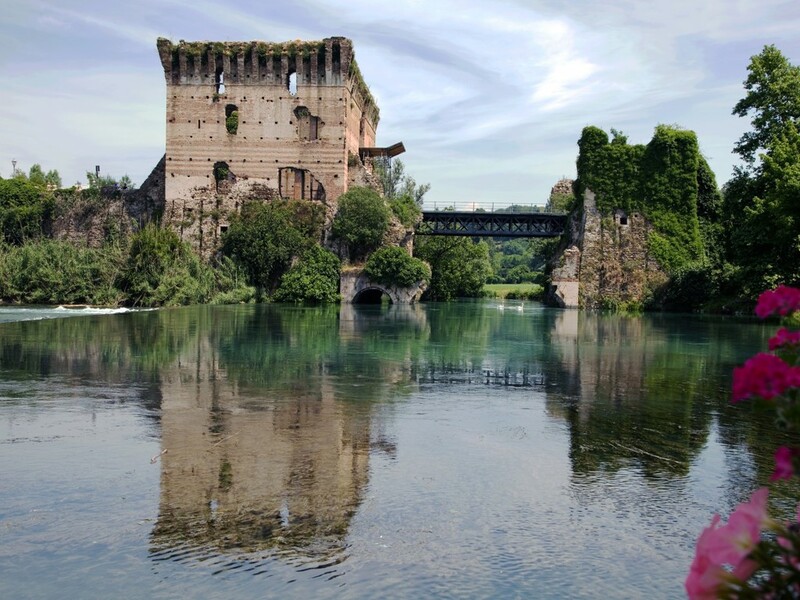 Here you can see the historic mills of Volta, and on the opposite bank, you can stop and take another break in the green oasis of Centrale del Corno. From Pozzolo, the path no longer follows the Mincio, but instead, the artificially created Pozzolo-Maglio canal. On this section of the route, you should pay attention to the traffic and the crossroads with the local roads! Signs point to more sights, such as the nature park Parco Bertone and the typical lowland forest Bosco Fontana, which are located along the way. At Soave, the cycle path leads back to the banks of the Mincio. From here on, you cycle through vast fields that alternate with the first suburbs of Mantova. 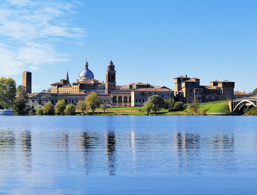 Shortly before your destination, the Mincio transforms into a system of lakes. Between Lago Superiore and Lago di Mezzo, you will reach the beautiful Renaissance city with its magnificent villas and palaces. Take enough time to visit this cultural highlight. 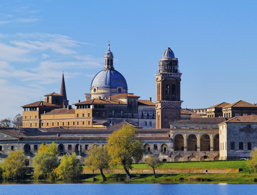 You can either return by train (change at Verona) or spend the night in a hotel in Mantova and cycle back to Peschiera the next morning.